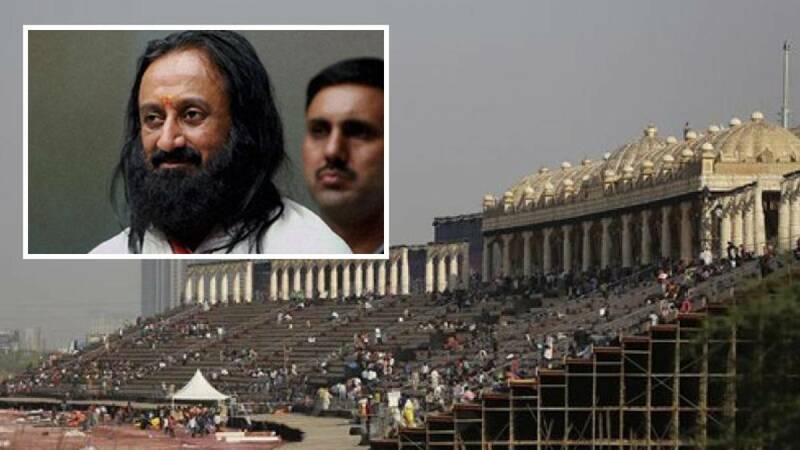 New Delhi : Sri Sri Ravi Shankar's Art Of Living on Saturday sounded defiant over their decision of not paying any fine for their mega event World Cultural Festival in New Delhi. The spiritual leader said, he will wholeheartedly support the "development and restoration" of the venue where the event is being held. He also clarified that the amount NGT has asked AOL to give is the restoration fees and not the penalty. "All through, I have lived a spotless life. I have never been late to school. I have never paid fine, even of a single paisa. So, we said we will not pay any fine. But then I was told that this is not a fine or penalty. It was wrongly reported in newspapers. "They said it was for the development here. We said, if this is for development and restoration, then we will whole-heartedly support this and put everything into this," Sri Sri Ravi Shankar said. NGT on Wednesday had allowed AOL to hold the festival and pay Rs 5 crore within time limit. Finding difficulty in arranging such huge amount, AOL submitted Rs 25 lakhs and said they will pay rest in coming days.